These three are just a few of the Kimura series. The steel is made of 14C28N stainless steel. The skeletonized handles are made from 410 stainless steel. The handles are sandwich construction with barrel spacers. 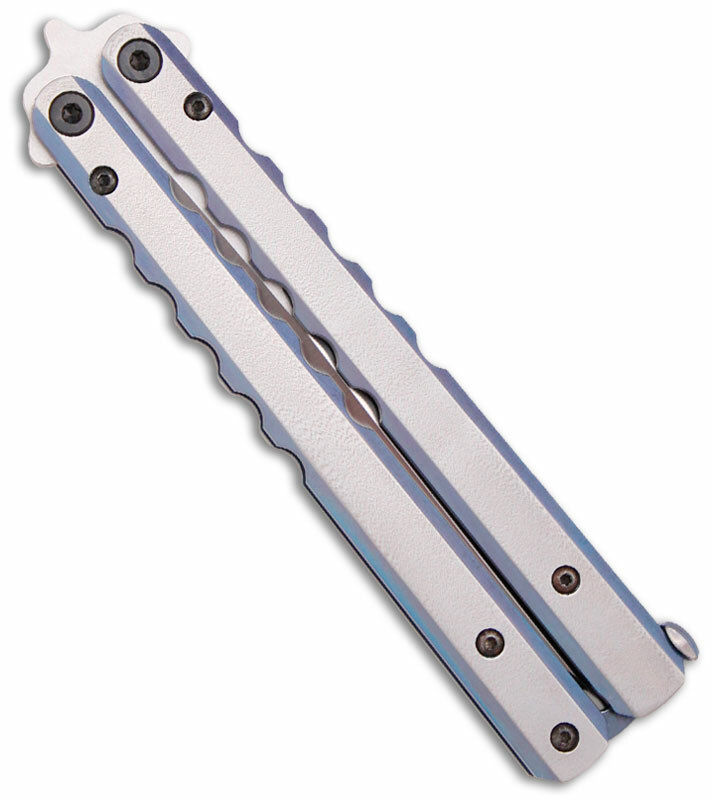 These are extremely smooth flippers and they are great quality. This series weighs all around 5.4 oz. Price ranges from $120 to $200. 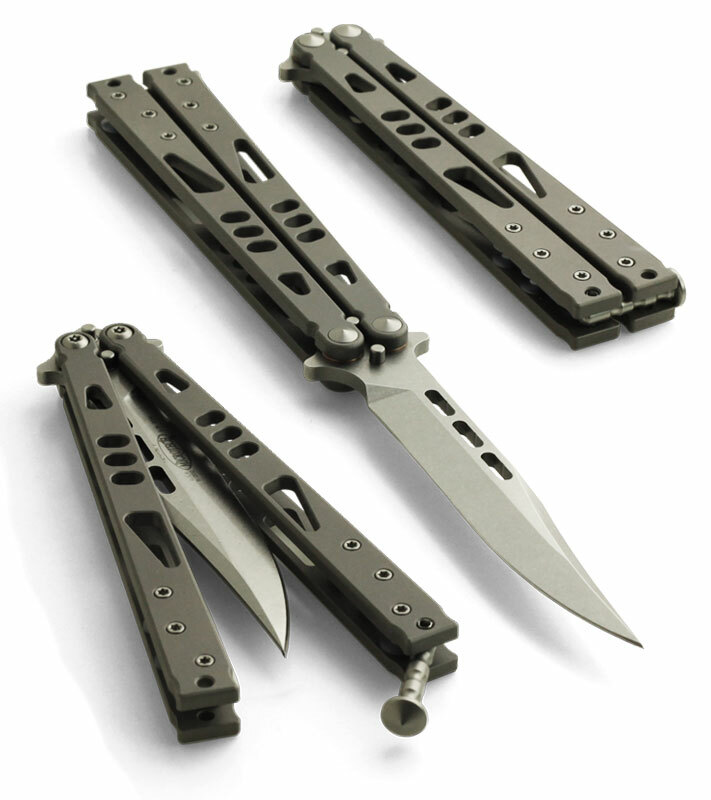 The Bradley Mayhem is a balisong with a lot of character. The handles are sandwich construction made from titanium. They have bright blue barrel spacers and a curved handle. A lot of people don’t like the curve on the handle. 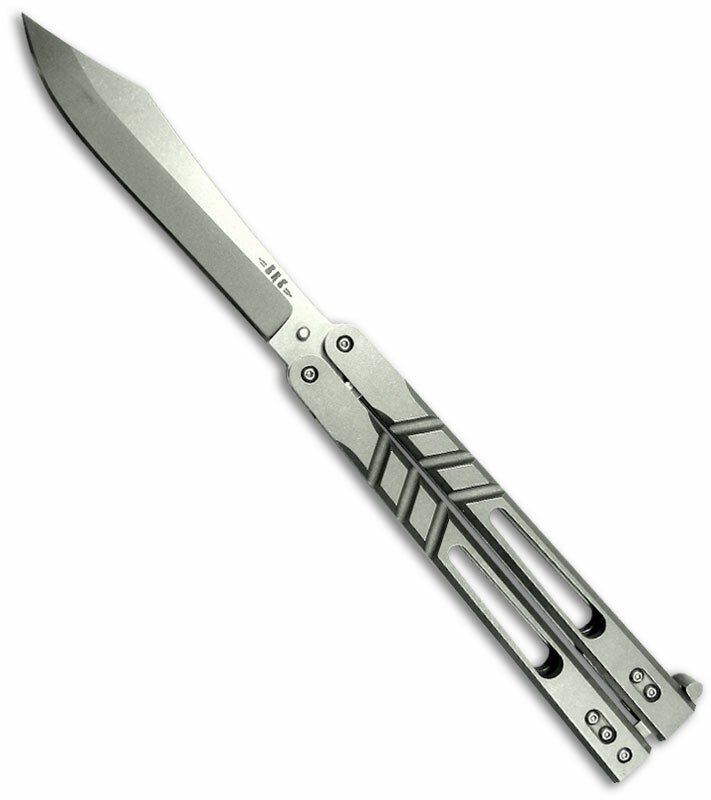 However, to me, this is a balisong that I would use more than I would flip. From the S30V blade steel to the spring latch, this is a great choice of balisong. In my eyes, these also have the perfect weight for flipping coming in at 4.2 oz. Pick yours up for under $350.00. From left to right, we have the Benchmade 62, 67, and the 63. All of these are new to 2012. 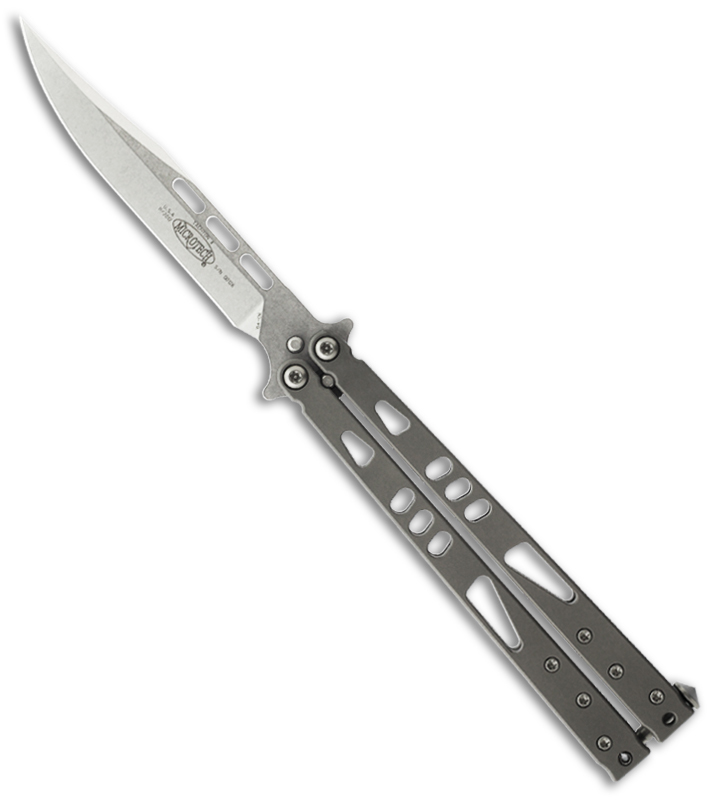 The 62 has a weehawk style blade. The 67 has a recurve tanto style blade. Finally, the 63 with a modified bowie style blade. 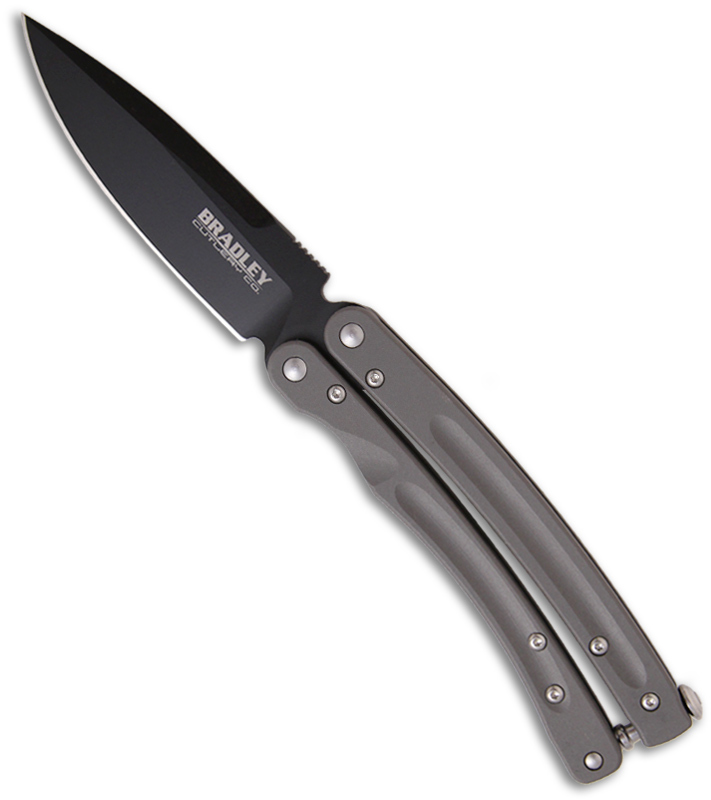 These have a D2 tool steel blade for razor sharpness and great durability. 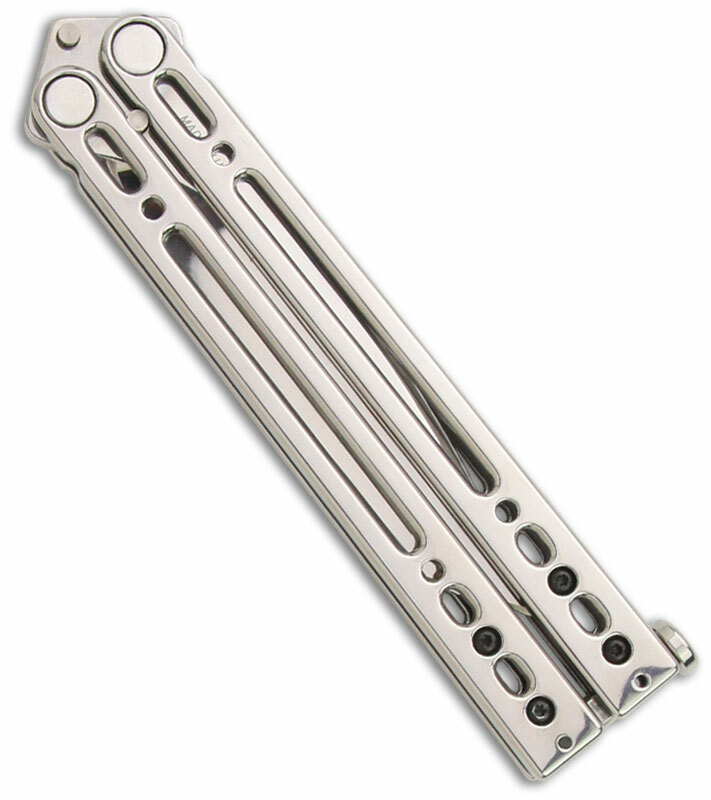 The skeletonized handles are sandwich construction and feature the classic T latch to opening and closing. A lot of people don’t prefer these due to their weight (6.4 oz), however, I think it just makes the balisong perfect for beginners. They flip a little slower so you can perfect your flips. You can get one of these for under $350. These have been one of the more exiting balisongs that are new to 2012. These are only available at Blade HQ. Luckily, I was able to see one the other day and I was extremely impressed with this knife. It is incredibly smooth. The handles are skeletonized and made of titanium. A few people aren’t too happy that these have barrel spacers. However, to me it doesn’t ruin such a great balisong. The Tachyon II is really thin and light. It only weighs 4.7 oz. Blade HQ will give you $20.00 off if you preorder yours now. Otherwise you will have to pay the $280.00 for this balisong. This is probably the most anticipated balisong to come out in 2012. BRS is a company that is all about knives and gear. 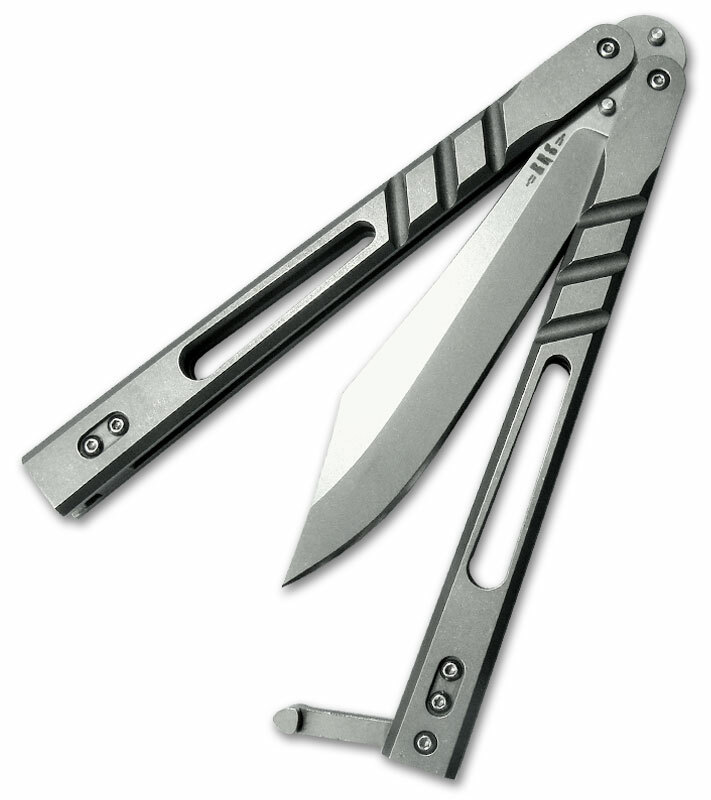 Their goal is to make the best performing balisong when it came to the Alpha Beast. They are centered around performance and quality. 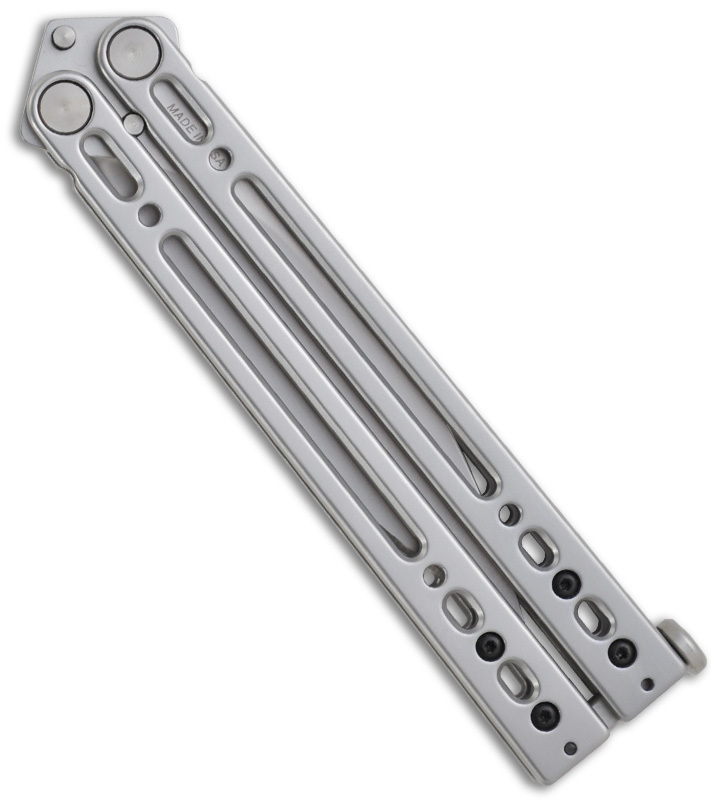 The handles are skeletonized titanium (starting to notice a trend?) These come razor sharp out of the box and have a surprisingly thick blade on them. If you didn’t get the chance to preorder one, I am afraid you won’t be able to get your hands on this knife. If you did preorder one, you are probably paying a total of around $370for this balisong. 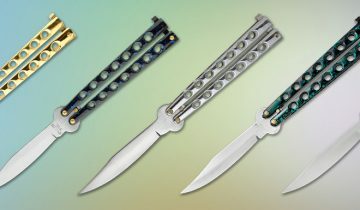 Now, Protech normally makes automatic knives, however, the FlyFather does not lack on the well-known Protech quality and functionality. 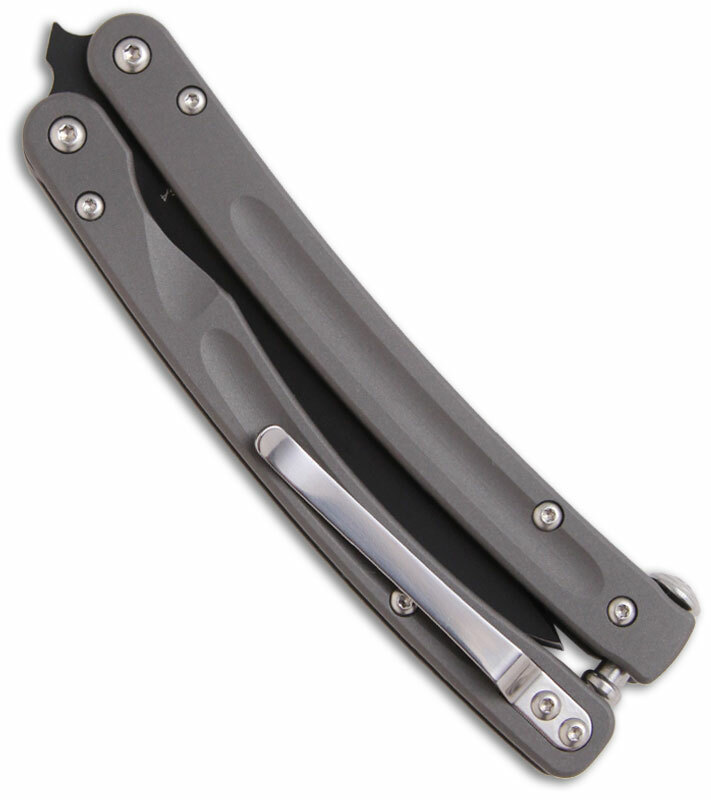 The handles are solid titanium with beveled edges and grooves. 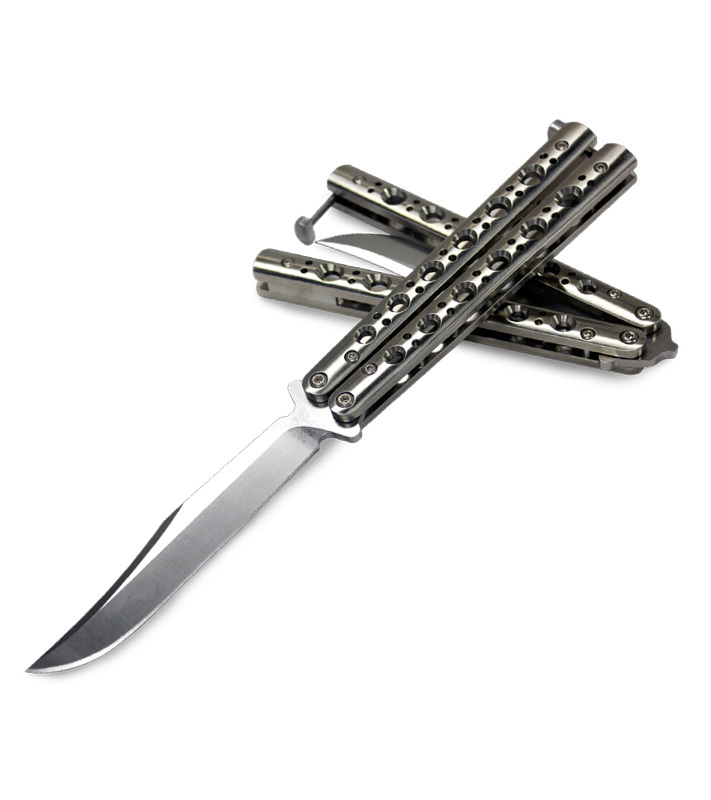 Instead of tang pins, this balisong features zen pins and barrel spacer construction. Believe it or not, the pivot has 56 ball bearings (14 per side of pivot). 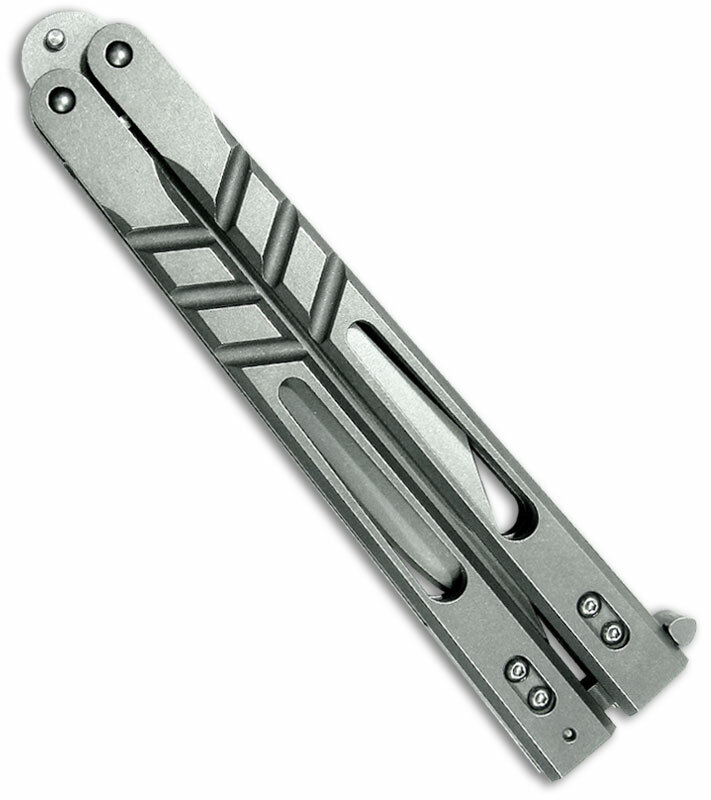 The latch is a work of art in itself. It is arced so that the blade can be longer and reach farther down the handles to make it more balanced. These have a perfect weight of only 4 oz. I would recommend this knife to anyone out there. I highly recommend getting your hands on one of these. Retail price is $650.00.